Almost everyone encounters stress on a regular basis. We all experience it differently, and we all have different levels of stress tolerance. The responsibility that comes with being a resident doctor (or any busy professional) can often be quite overwhelming. According to AMA, over 50% of physicians experience at least one sign of burnout. If you are feeling overwhelmed, here are 9 fun stress relieving activities you can try to help boost your morale. 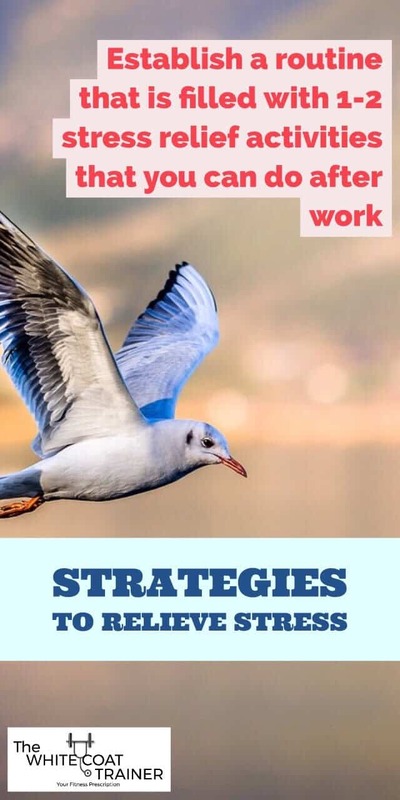 These are some of the strategies that I have used to relieve stress during the toughest times. We like it when certain aspects of our lives are predictable and routine. If you are a resident doctor, your work life can be anything but predictable. Sometimes the thrill of unexpected events can be exciting, but deep down, our natural instinct is to have stability. If you are expecting your day to go a certain way, and then it turns out to be the complete opposite- this could be a major source of stress and anxiety. Fortunately, you don’t have to look towards your work/career to find stability. Having a post-work routine filled with activities that you enjoy can provide significant stress relief. There are many different things you can include in your daily routine. Buying a journal and writing for 30 minutes: This could be a short story, a blog, poems, whatever. Taking 30 minutes to listen an audiobook or an interesting podcast right before bed. Open up your meditation app and spend 10 minutes letting your mind travel long distances. The possibilities are endless. Find activities that you enjoy and do them on a daily basis. 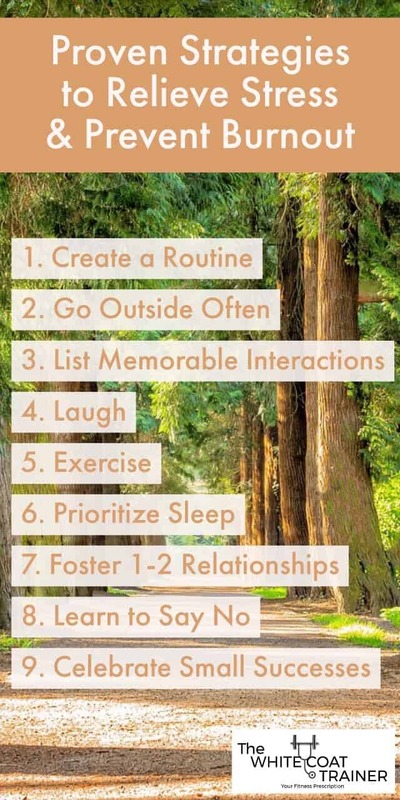 You can also add stress relief activities into this routine, such as points 2-7. Every chance you get, you should be outdoors rather than indoors. When you work long hours of the day, there is little incentive to spend any time being outside. Most of us rush home to just get on with the rest of the day. There is a calming sense to being around nature. You’ll be shocked at how relaxing a 10 minute walk can be. On your off days, take a longer walk, up to 30 minutes. Make it a habit to go to a park nearby once a week during the summer months. Being around nature and seeing a lot of green can do wonders for stress relief. Walking can help declutter your mind and also release endorphins from the increase in activity. Walking has numerous other benefits which we outline at Walking for Weight Loss [The Most Underrated Way to Lose Weight]. Walk with someone else to increase the benefits even further. If you work 60-90 hours a week, it’s easy to become disenchanted with how busy your life is. One of the most stressful parts of residency is the feeling of not having time for yourself. The lack of free time and inability to control your schedule is often cited as a huge source of stress and unhappiness. However, your work can be a source of stress relief, if you keep a list of memorable experiences. If you are a doctor, you probably remember a handful of patients that you had amazing experiences with. Experiences where you made a big, positive impact on the patient and it was reciprocated to you. If you aren’t a doctor, I’m sure that there are people who you have had a tremendous influence on. Maybe it’s a close friend, a coworker, a client, or even a family member. Keeping a list of the people you care most about and the great experiences you’ve had can provide happiness and stress relief to your life. If you are at work, take a moment to review this list periodically. This is a quick and easy way to get an uplift to an otherwise stressful day. Laughter is medicine. Just think about how good a time you had the last time you laughed really hard. Perhaps it was a comedy, an unexpected event, or perhaps just a really good joke a friend made. Laughter increases oxygen intake and releases endorphins and Dopamine, the feel good hormone. Laughing will almost always change your mood right away. Try and find some humor in otherwise stressful situations. Watch a rerun of your favorite sitcom. Enjoy an occasional funny cat/dog video on YouTube. Even if you are having an argument with someone, the act of causing laughter can quickly change the tone of the discussion. This list wouldn’t be complete if I didn’t include exercise. It’s fascinating how closely linked the mind and body are. 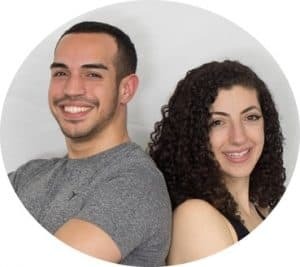 Doing any kind of exercise, especially ones that you enjoy, such as lifting, cardio, jogging, and yoga can provide a great deal of stress relief. It is also fun! Physical activity increases blood flow to your muscles and brain, again releasing endorphins and activating the dopamine pleasure/reward system. The American Psychological Association has found numerous links between mental health and exercise. I personally attribute Exercise as the biggest factor in keeping my stress levels down in medical school, residency and in life. Just do it. Force yourself and see how much fun it could be. Don’t know where to begin? Check out our Exercise Resources here. Okay, this is not a “fun” stress relieving activity, but it is worth mentioning. 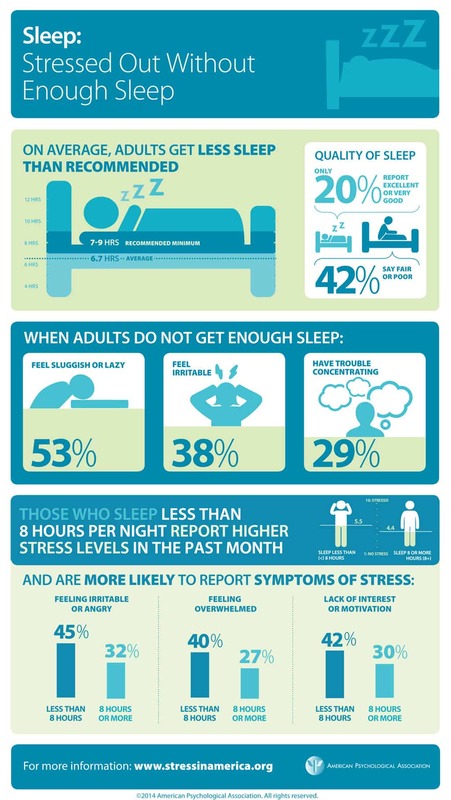 Lack of sleep is correlated with a multitude of health effects including stress exacerbation. When we force ourselves to stay awake for prolonged periods of time without paying back our sleep debt, our body remains in a sympathetic fight or flight mode. This raises our levels of cortisol, aka the stress hormone and it leads to mental impairment. How many times have you heard the advice “sleep on it” when you are undecided about an important decision. Sleep allows you to de-stress and gather your thoughts effectively. In addition, how much fun can you possibly have outside of work if you are constantly sleepy? If exercise has been my number 1 fun stress reliving activity, then sleep has been the second reason that I have been able to keep stress levels in check. Do you struggle to fall asleep? Check out our series on sleep starting with 3 SureFire Ways To Help You Fall Asleep When You Are Busy to learn effective ways to improve sleep quality, even with a hectic work schedule. Humans are social creatures. We crave interactions. The negative effects of pure isolation seen in prisoners who are sent to solitary confinement are well documented. Even if you consider yourself to be introverted, you probably still maintain interaction with others through social media, email or text messaging. When you work 60-90 hours a week, it’s even more difficult to maintain relationships. You simply do not have the time (nor the mental fortitude) to know what’s going on in the lives of all your friends and family. Nonetheless, you should make an effort to foster 1 or 2 relationships with the people you care most about. Knowing that there are vast complex things going on in the lives of people outside of work can be very relieving. There’s more to life than your job/career. There’s an entire world out there. In addition, these loved ones can be there for you when you need additional support to get through tough times. These are also the individuals who are going to share fun times with you. Don’t make the mistake of letting your career ruin your relationships. Maintain a strong relationship with at least 1 – 2 people. Your stress will thank you for it. By that same token, it is important to understand your boundaries. When you are buried deep in your work, taking on additional tasks can significantly increase unneeded stress. I personally have struggled to say no to the detriment of my well being. As I’m sure you are realizing, it is important that you look out for yourself. If you drown yourself with optional activities that you do not enjoy doing, then you won’t be able to give your all to the activities that you do care about. I love this quote by Bruce Lee. Stop doing unnecessary things and focus on the stuff that has meaning to you. 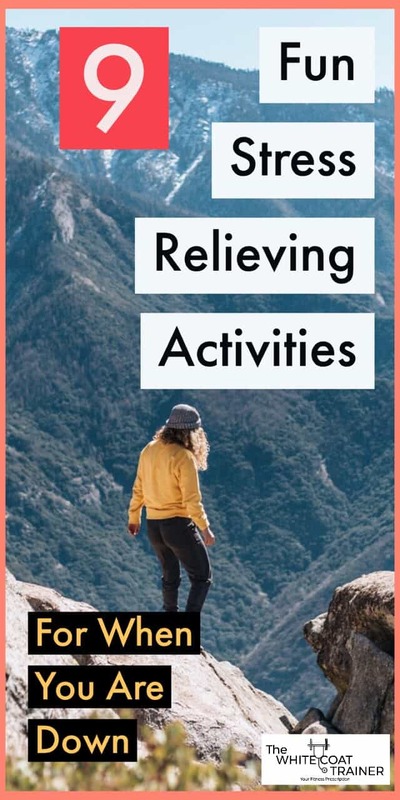 By doing this, you may find that extra 30 minutes a day to start an exercise routine, or to create your post-work routine that is filled with you fun stress relieving activities. In today’s age, it’s easy to focus on the negatives. You could receive 10 compliments in one day, and they might all get forgotten by one unexpected criticism. The human mind tends to magnify mistakes and focus primarily on the things that didn’t go well. Unfortunately, we cannot always control mistakes or negative events. Almost everything in life is outside of our control. We tend to forget this all of the time. This is why it is important to celebrate every small success. It doesn’t have to be any major event, but a small acknowledgment to yourself that you accomplished something. Don’t forget life is full of peaks and troughs, and only YOU know your current situation. Only YOU know your successes and your triumphs and what you had to sacrifice to get there. Acknowledge yourself once in a while, it can be stress relieving. 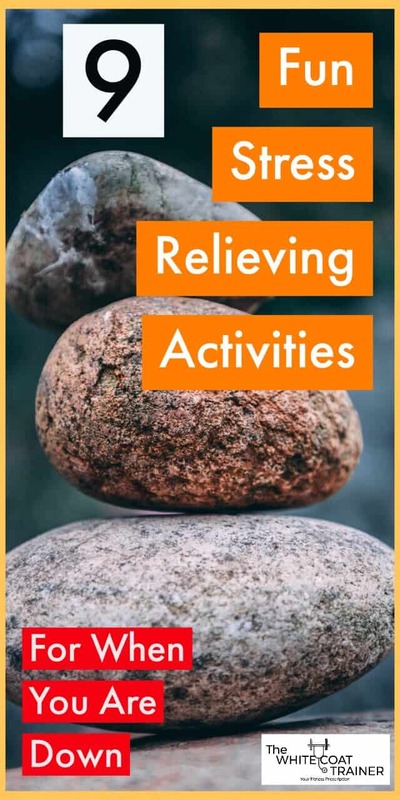 These stress relieving strategies can be used by both students and professionals. Anyone can benefit from stress relief, no matter what their current situation is. The goal is to not eliminate stress, but to manage it. Don’t forget, stress is necessary in our lives. It’s what inspires change. It inspires progress. But it can also consume you if you let it. If you can consistently use at least 3 of these strategies in your life, you should notice big improvements in your stress levels. Burnout is a real thing. Take care of yourself so that you can best take care of others. Anything you would add or take away? What are the major sources of stress in your life? What have you done in the past for stress relief? PS: Don’t forget to share these tips with anyone who may be struggling today. These are such helpful ideas! Going outside is my go-to for releasing stress. Thanks. Im glad you liked them!